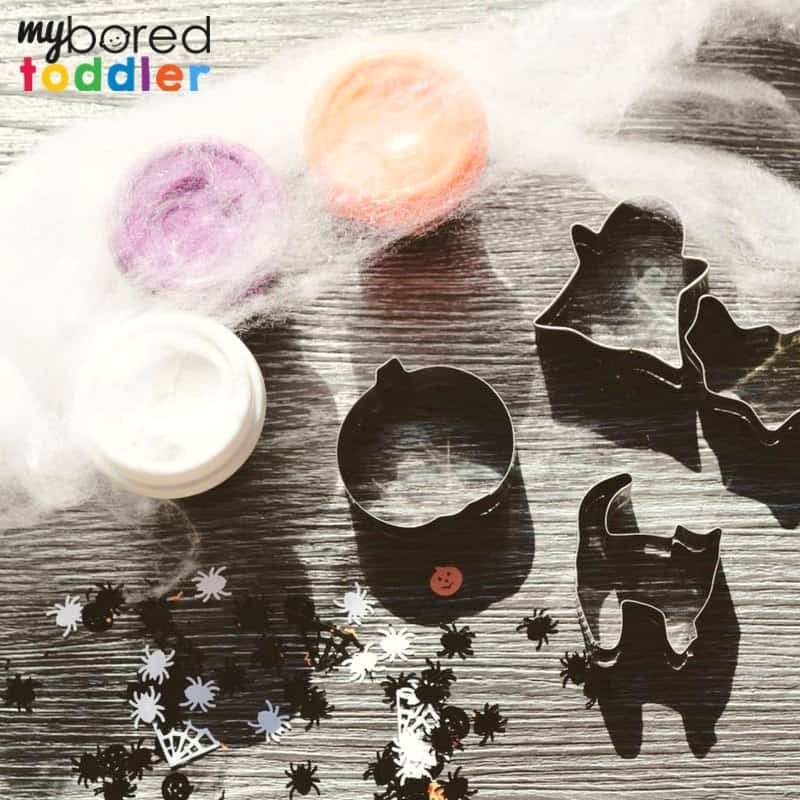 We’ve been having a lot of fun with this Halloween playdough invitation to play and it’s a nice easy toddler Halloween activity that is easy to set up. 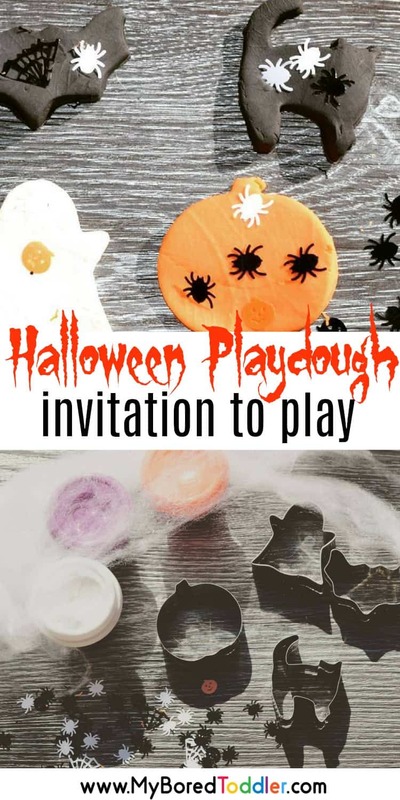 I’ve mentioned before that playdough invitations to play are a great activity to set up – they’re quick and easy and don’t take a lot of planning. If you work in an early learning setting they’re perfect as one of your activities and if you’re at home then it’s a nice simple activity. Playdough. You can make your own playdough, but I like to use this huge Playdough pack. I buy one ever 6 months or so and it’s such great value for money and I use almost daily. For this activity I put out orange, black, white and purple playdough. 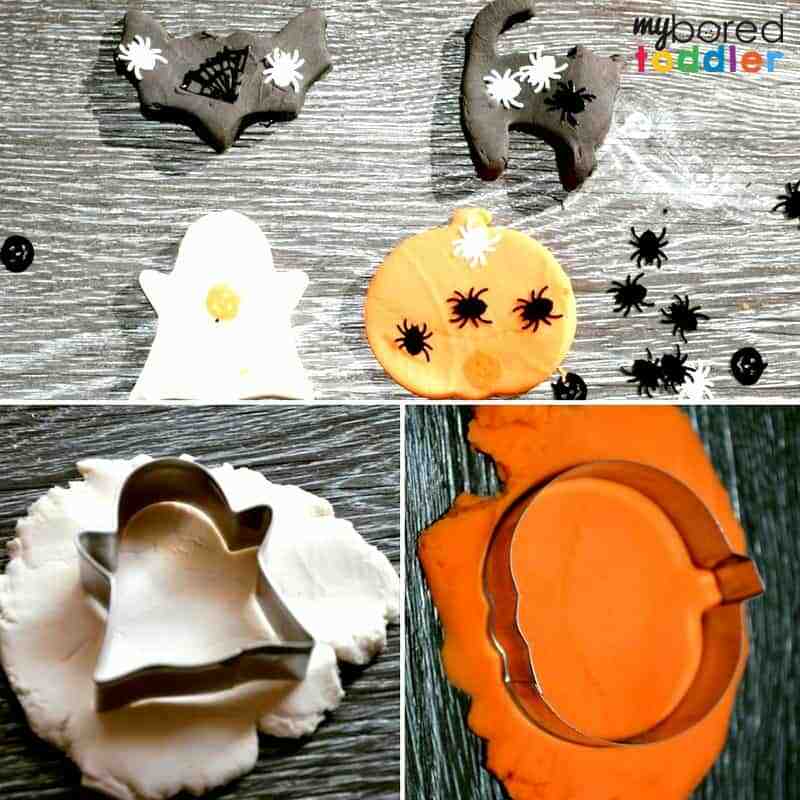 Halloween cookie cutters. 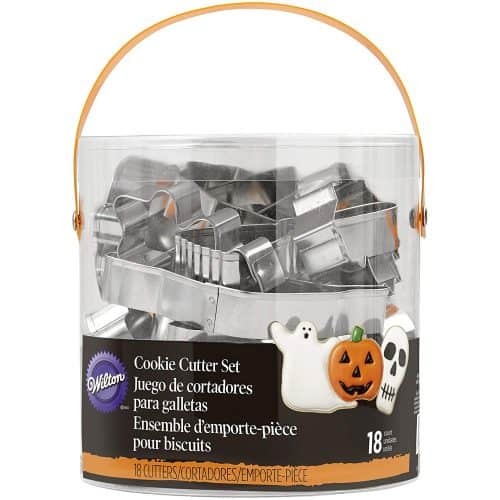 I bought a set like this a few years ago and we use them for baking, painting, tracing and lots of other Halloween crafts too. I added some spider web stuff (I honestly don’t know what the real name for this is but I found it HERE) to give a spooky effect but this is optional. 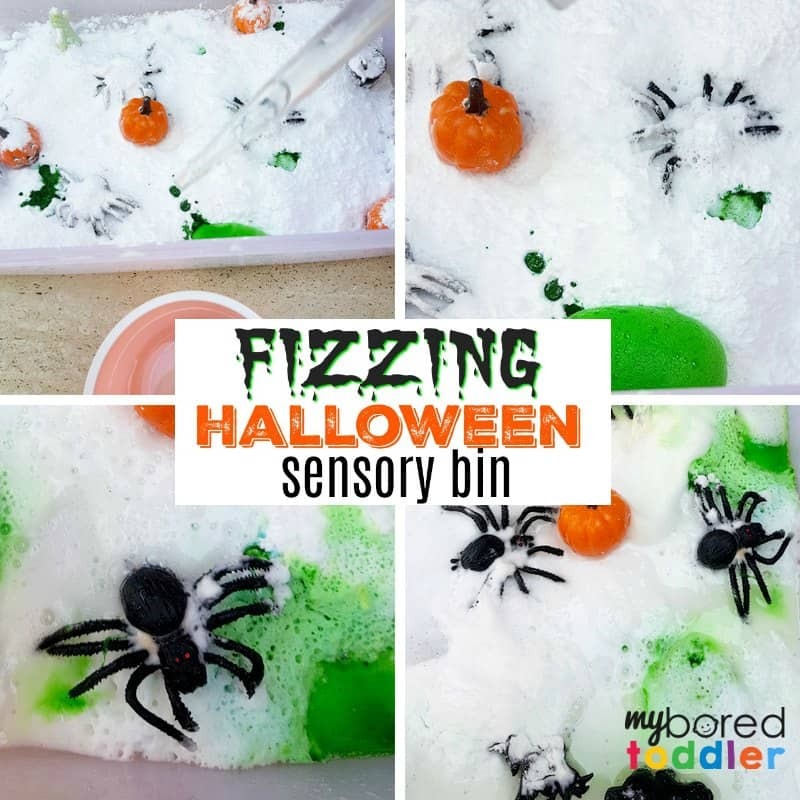 It came with fake spiders that I used in our Halloween sensory bin too. 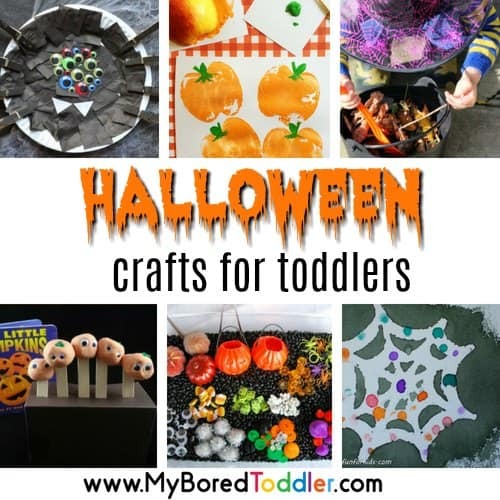 Just like with our Fall Playdough activity, I like to set this up so that they can choose what to make and how to play with it. I will often have an example already cut out as a demonstration. Younger toddlers will need a little bit of help but most of them should be able to do this on their own. You can add other Halloween themed items to the mix to extend the play too.